Type your Reddaway tracking number below, get live delivery information with our express tracking system. 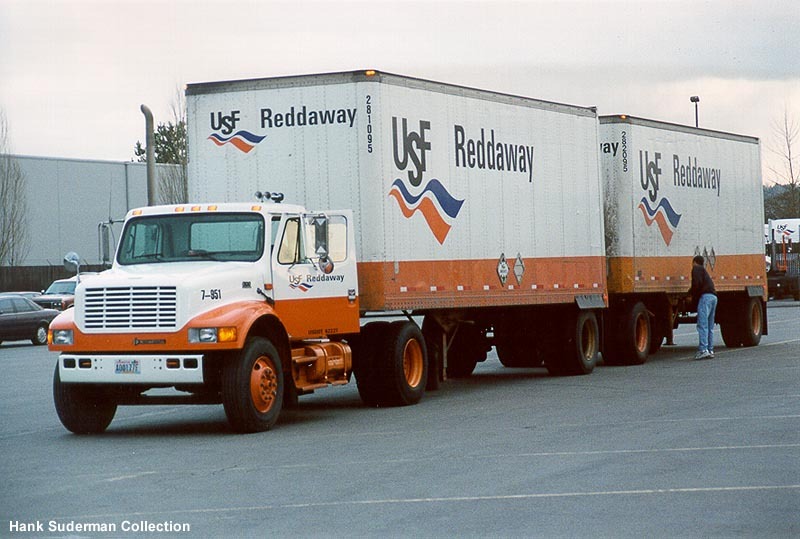 Reddaway, founded in Oregon City, OR, has served the Pacific Northwest since 1919. Through our comprehensive western local service center network, we have built a long-standing tradition of next- and two-day delivery services. We are a complete and formidable western service provider. With high on-time reliability and one of the lowest claim ratios in its region, Reddaway is among the most-efficient providers in the industry. Its 2,600 loyal employees have earned the prestigious Quest for Quality award from Logistics Management magazine for 18 years. If you have problem with our express tracking system, please track your package directly on the Reddaway website. If you get no tracking information from Reddaway official website, you’d better contact them. If you have shipped through Reddaway, you will have received a copy of your Waybill. Each waybill has a distinct number which can vary between 8 to 11 digits(eg: 321119864, 321119865). USF Reddaway On the Road. Have no idea about Reddaway? Read Reddaway reviews in advance and write a review after sending your package with Reddaway. If you have problem with our Reddaway Tracking system, submit your problem here, we will help you as soon as possible. Declare: We can NOT contact carrier or others on your behalf, we can only help you track your package with your Reddaway tracking number on official tracking system.